Paul Kruger, Speeches and Correspondence, 1850–1904 is a volume of more than 1200 pages that covers the life-span of a prominent South African statesman. The book provides introductions to and in-depth analyses of the different phases in Kruger’s career. It gives researchers and other persons interested in Kruger’s life access in English to important and lesser-known Kruger documents and speeches. 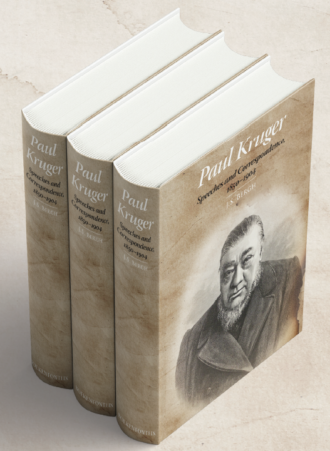 The volume includes, for example, a large percentage of the speeches that Kruger delivered on his compulsory annual visits to various parts of the Transvaal and those dating from his presidential campaigns.